Edward Granville Browne (7 February 1862 – 5 January 1926) was a British orientalist. He published numerous articles and books, mainly in the areas of history and literature. Edward Browne was born in Stouts Hill, Uley, Gloucestershire, England, the son of civil engineer Benjamin Chapman Browne and his wife, Annie. He was educated at Trinity College, Glenalmond, Burnside's School in Berkshire, Eton College, and the Newcastle College of Physical Science. He then read natural sciences at Pembroke College, Cambridge. He also studied Arabic with Edward Henry Palmer and William Wright, and Persian with Edward Byles Cowell, motivated by an interest in the Turkish people. After graduating in 1882 he travelled to Constantinople. Browne then spent a further two years at University of Cambridge studying the languages of India and also gained an M.B. in London. In 1887 he was made a Fellow of Pembroke, and then paid an extended visit to Iran. He returned to become university lecturer in Iranian. In April 1902 he was elected Sir Thomas Adams's Professor of Arabic at the University of Cambridge. Browne was mainly responsible for the creation at Cambridge of a school of living languages of Asia, in connection with the training of candidates for the Egyptian and Sudanese civil services, and the Lebanese consular service. Browne married Alice Caroline, daughter of Francis Henry Blackburne Daniell in 1906, and had two sons. He died in 1926 in Cambridge. Browne published in areas which few other Western scholars had explored. Many of his publications are related to Iran, either in the fields of history or Persian literature. He is perhaps best known for his documentation and historical narratives of Bábism as relayed by Arthur de Gobineau. He published two translations of Bábí histories, and wrote several of the few Western accounts of early Bábí and Bahá'í history. 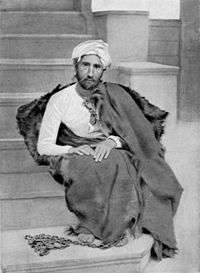 Browne was not a Bahá'í, but rather an Orientalist. His interest in the Bábí movement was piqued by a book by Arthur de Gobineau found while he was looking for materials on tasawwuf. The history A Traveller's Narrative was written by `Abdu'l-Bahá and translated by Browne, who added a large introduction and appendices. 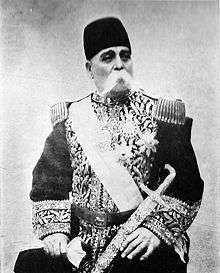 Browne was fascinated by the development of the written historical perspectives of the Bahá'ís regarding successorship after the Báb including their idea of an independent dispensation of Bahá'u'lláh. These Bahá'í-authored works emphasized Bahá'u'lláh to a greater extent than the Báb and took a critical view against Subh-i-Azal, whom de Gobineau listed as the Báb's successor. Browne expressed sympathy for Subh-i-Azal and surprise at the route the religion had taken. In A Year Among the Persians (1893) he wrote a sympathetic portrayal of Persian society. After his death in 1926 it was reprinted and became a classic in English travel literature. He also published the first volume of A Literary History of Persia in 1902 with subsequent volumes in 1906, 1920, and 1924. It remains a standard authority. Among Persians, Browne is well remembered today. A street named after him in Tehran, as well as his statue, remained even after the Iranian Revolution in 1979. ↑ "Browne, Edward Granville (BRWN879EG)". A Cambridge Alumni Database. University of Cambridge. ↑ "University intelligence - Cambridge". The Times (36755). London. 30 April 1902. p. 11. ↑ Edward Granville Browne (1926). A Year Amongst the Persians: Impressions as to the Life, Character, & Thought of the People of Persia, Received During Twelve Months' Residence in that Country in the Years 1887-1888. CUP Archive. p. xviii. GGKEY:8LH412T7XR6. Balyuzi, H.M. (1970). Edward Granville Browne and the Bahá'í Faith. Oxford, UK: George Ronald. ISBN 0-85398-023-3. Wikimedia Commons has media related to Edward Granville Browne.